Guest Bio: Amanda Gordon is the Director of Armchair Psychology. She is experienced in helping people deal with the full range of life crises, including managing relationships, coping with grief and loss, dealing with stress from a particular crisis, and managing change. She works with individuals, couples and families, helping them enrich their lifestyle and their effectiveness in the world. She is an endorsed specialist Health and Clinical Psychologist, and a member of each of those specialist Colleges of the Australian Psychological Society. She was Director of Communications of the peak professional body, the Australian Psychological Society from 2001, thence Vice President, and she was elected President in 2004 and 2006 for two consecutive two year terms. In addition to her 25 years+ clinical practice, Amanda is also a sought-after media spokesperson. Segment Overview: In today’s interview, Amanda elaborates on the benefits of social media in terms of communicating with those we know and sharing real-time information. She also explains the cons of social media such as how it decreases face-to-face communication skills. Along with this, Amanda talks about Psychology Week 2017. Tabetha Moreto: Hello everyone, welcome to Health Professional Radio. I’m your host for today, Tabetha Moreto. 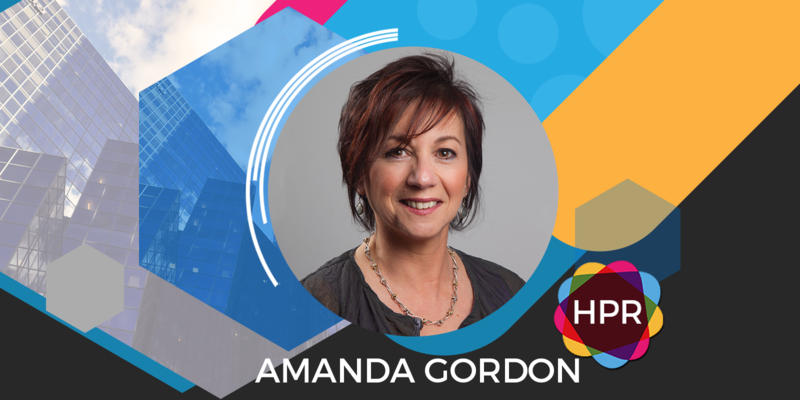 Our guest today is Amanda Gordon, Director of Armchair Psychology. She’s experienced in helping people deal with the full range of life crisis including managing relationships, coping with grief and loss, dealing with stress from a particular crisis and managing change. She is an endorsed specialist health and clinical psychologist. Today we’re going to talk about a very interesting topic, Psychology Week 2017 and we’re going to talk about how people communicate in the digital age. Without further ado, welcome to the show Amanda. I’m so happy you can join us today. Amanda Gordon: Thank you so much, Tabetha. T: My pleasure. So Amanda please tell the audience more about yourself and your organization. A: Well I’m a private practicing psychologist working with a range of clients become ahead of me. Psychology Week though is an initiative of the Australian Psychological Society, 23,000 plus members. And when I was director of communications in the early 2000s I started something called Psychology Day which became National Psychology Week, about 15 years ago. And during this week we try to promote psychologists and the work that they do to destigmatize, to give people an idea of the range of things in areas in which psychologists work. So Psychology Week this year is talking about thriving in the digital age but thriving of course can take many forms for many people. So I as a psychologist working in private practice often I have to address issues of managing social media and managing thriving and those two bits come together very well. T: Fantastic. I like this topic today. So we’re talking about social media as we all know social media is something that’s a part of our daily lives nowadays. So can you tell us about social media. Social media offers more avenues for engagement but is it really true, are we really connecting and communicating with one another? A: I think we’re learning. It’s interesting because the current young people of today are the first generation who were born into what we can call the digital age, with an expectation of a device being attached to them at all times and communicating through a device. People of various ages have had to learn how to bring social media into their ordinary communication language, whereas the young kids of today have it sort of almost naturally. It’s sort of ingrained because what they’ve done from the very beginning. When you talk about more or less, I would say that we have to really take onboard, social media is part of our lives and ensure that our communication evolves. So that we take into account social media as part of it and I don’t think we’re there yet. I think for many people social media has replaced proper communication and there are just posts where people just inform others about things. Whether it’s an opinion or an action or a behavior instead of communicating with others about what’s going on in their lives and in their thoughts and in their feelings, but some people have got it and they are able to use social media in a way that enhances communication for them. A: Really? That’s right really. That’s all they want. T: Amanda, can you tell us what are the pros and cons of social media? A: Look, the pros are that you can get out a message very easily to a lot of people. I can actually tweet or put on Facebook or Instagram or whatever that I’m going to be on this radio channel at this time and people will see and will go and listen. So it’s an easy way of getting information out and in the same way making an invitation to a private event can be done much more easily than in the old days of paper and pencil and an individual message to each person. But the disadvantages can be large as well because as I say, the risk is that you do everything in your communication in a truncated way that you lose the personal as perhaps you did with your friend who did prefer to tell you on Facebook rather than personally share with you looking you in the eye and talking to you about things, connecting with you. I know even from personal experience that I recently lost my mother and I received wonderful messages of support from Facebook etc. and it really was warming and terrific and made a difference to me but so did the people who came to visit, who risked making a phone call even though they didn’t know what to say. That sort of real communication touched me quite differently because it had to, because those people were working hard to connect to the deep human level without anything between them. So for me, the messages on technology at that time of grief and mourning were important, were real but weren’t quite as warming as supportive as a real-life connection was. T: Yes, that’s true. I agree with you there are times where like for example it’s our birthday or if we have just like in your case, if a family member has passed away people would automatically send us messages on Facebook, but it doesn’t have that personal touch where somebody comes to you face-to-face and tell you how they feel about you on those specific occasions. A: And the risk is if we don’t practice doing that, if we don’t connect with people at that face-to-face level, then we are not connecting with their pain, but we’re also not preparing ourselves if you like, we’re not growing ourselves and it’s going to be harder to deal with our own losses because we don’t have the resources that come through connection with others. As a psychologist I believe personal growth happens through relationship. Now I’m not canning it because I actually think that social media can contribute greatly to relationships. It must just not be that it’s the only way that we communicate. T: Yes, that’s right. Now let’s talk about the interaction between parents and their teenage children, because as we all know teenagers nowadays, their lives revolve around social media. Do you think parents should follow their teenage kids on social media? A: Absolutely. The Australian Psychological Society survey for Psychology Week actually discovered about 60% of Australian parents don’t follow their children on social media and I think it’s very dangerous. I think not only should we follow but not follow, be friends, be attached. We should talk about what is going on with our kids. One of the risks is that we allow our kids to have a sort of a different life, a separate life which is their digital life and then they have the life that they connect with human beings in the real world. A generation ago parents would know their teenagers’ friends because everyone would congregate at one another’s homes or you give them a lift somewhere or whatever, but if your teenager is only having connection through Facebook or some other digital form, then the risk is you won’t get to know those friends and therefore you won’t get to know the stressors of your own child, you won’t share they’re growing up. Ensure that you talk to your kids not just about all the rules about Facebook whatever, but talk to them about the content of what they’re engaging with and how makes them feel and what’s going on for them in those connections, so that you’re enhancing connectivity in your teenagers’ use of social media. T: Yes and I agree with you as a parent myself even though my daughter is still young when she reaches her teenage years, I want to do the same. I want to be a part of her life not just in real life, I want to be a part of her digital life as well because as a mother myself I’m also concerned about who are my child’s friends, who is she talking to, what is she doing because if I don’t know what’s going on if something happens to her that would be my fault at the end. A: That’s right and we know that about 30% of kids are also engaging with strangers on Facebook or on some other form of social media on a regular basis. So if you’re not connecting with your child or your teenager then you don’t know whether they are safe or not. We have to teach them how to engage with strangers if someone likes something we have done or because the way the system works in social media, if you’re friends with someone and they’re friends with someone else they’re friends with someone else, so some posts that they can see you don’t know them. You have to teach your child etiquette, you have to be supportive of them, have to help them block people whom they don’t know, have to help them see when it’s not appropriate to be connected with someone that you don’t know. Unless we talk about these things and we won’t know what to talk about unless we’re connecting with our kids’ accounts, we won’t know what to talk about. Leave yourself available and accessible to your kids so that you’re not just talking to them about social media when it’s a danger or when there’s a rule but also talking to them about social media in the good times as well, so that they’ll learn that that’s part of their communication and they’ll learn a communication style that’s positive. T: Yes and I absolutely agree with you, thank you so much for your advice. Speaking of social media etiquette, let’s talk about situations where social media is used. Like for example weddings or musical concerts. Do you think it’s appropriate for example, let’s say you’re at a concert, is it appropriate to post videos of the performer on Facebook? A: Appropriate is an interesting word. There’s probably some copyright issues, although a very short segment you’d probably get away with. But the question is, are you really enjoying the concert if you’re so busy filming it? Why aren’t you there? Why aren’t you in the moment? Why aren’t you mindfully enjoying it? If you’re only going to a concert in order to gloat to other people about how wonderful it was to be there, then that’s a great shame and a total waste of the entry money. So I would say to you – be there and engage and be involved in the music or the wedding or wherever it is you are and allow yourself to really connect with what’s happening rather than spending all your time sharing it with other people, for your own sake. T: Yes. I agree with you. If I’m going to a concert to watch my favorite performer, I want to go there to listen to the music. If I want to film that performer I might as well be a camera woman or something. A: As psychologists we try and teach people to live mindfully. When you live mindfully, you’re in the moment. If every moment is taken up with taking photos of it or filming it, then you’re not really living in that moment, you’re external, you’re a viewer, an observer of the moment instead of being in the moment and that’s not good for your mental health. T: That’s right. You should be in the moment, don’t just video everything, don’t just take pictures, enjoy the moment, enjoy life, I agree with you. So Amanda, now let’s talk about work and social media. Do you think it’s appropriate for bosses and their employees to engage with each other on social media? A: Look, it depends on the workplace. There are some workplaces where it’s seen as entirely appropriate but I would have thought it should be limited to an internal network rather than being in public. There are so many different types of social media and there is some that are very suitable for exchanging ideas or information or things that belong within a private network and that’s how bosses, I think, should engage with their employees and vice versa on social media. There are some workplaces in which there is socializing that goes and that between employers and employees and if that’s the case then probably it is best on social media because then it’s public and it’s not breaking any rules, ‘It’s just this is how we engage with each other.’ But if it’s a workplace issue it should be private, it should be separate. T: Yes I agree with you that we should separate our professional lives with our personal lives. Things that happen at home shouldn’t be brought to work and vice versa, things that happen at work shouldn’t be brought at home or rather on social media. A: Look, different workplaces have different rules and different ethos and different cultures and in some workplaces it can be appropriate to engage with things in a more personal level. But it’s really important to be clear as to your boundaries and if everyone is exposed to everything through social media then there are no boundaries and I think that ultimately can be dangerous. I think what I want to stress is there are no hard rules. We just have to think about the impact of social media in the various aspects of our lives. That’s how we’ll thrive by ensuring that social media is actually part of our lives in a manner that we want. So that’s it’s our tool rather than our master. T: I like that. We should be in control, we should not let social media control us. We are the ones they should control it. Excellent message, I like that. Now let’s talk about the connection between insomnia and the use of social media. As we know a lot of people nowadays, before they go to bed they’re always on their phones or they’re always on their mobile devices. Is there a connection really between insomnia and let’s say overuse of social media? A: I think there are two parts to it. One is the physiological of having the bright light shining into your eyes just before you’re trying to go to sleep and that will keep you awake. They’re like having a melatonin boost. It’ll keep you awake but leaving aside the physiological, for many young people we find the insomnia part is the risk that there will be messages coming through they’re missing out on. They sort of sleep but remain a little vigilant in case they hear a beep and they want to respond and that is very bad for sleep. The best thing anyone can do is turn off their device sometime probably an hour before they want to go to sleep, pick up a real life book and read that instead and you’ll have a much better night’s sleep and I always instruct parents to take the devices out of the bedrooms from a certain time. The devices should be charged outside the bedroom from whatever time the parent thinks it’s appropriate which I think should be an hour before bottom line sleep time and the kids shouldn’t have access to them after that time whether on the phone or messaging or WhatsApp or Instagram or Facebook or YouTube or anything because that will enhance sleep appropriately. T: That’s right. I agree with you because to tell you the truth, before I had a bad habit of using my phone before going to bed and to tell you the truth I have trouble sleeping. Then I realized that using my phone during that time messed up my sleeping pattern, so what I do right now I like what you mentioned earlier I started reading and to tell you the truth it did help me sleep much better. A: Good. That’s how we should do. T: I’m very happy that I was able to break that bad habit myself. T: Yes, thank you so much. Before we go Amanda I want to ask you a personal question if you don’t mind. Why are you so passionate about this particular topic? Why are you so passionate about educating people regarding the effects of social media? A: I believe that relationships are the core of what we do and social media is a tool for relationships that can be used for good or for bad. I work with couples a lot in my practice and I’ve seen people break up from their boyfriend or their girlfriend through text message. They’ve lost the art of relating to people properly and of thinking of their feelings and the impact of what they do and I just think that we could use it for good to make the world a better place, to give messages of support and compassion face-to-face for other important aspects of what we want to do. I believe we can make social media a better tool and not allow it to master us and then we will become better to society of caring for other people. It’s a big question and I hope I’ve answered it through that. I’ve watched the evolution of people in their relationships as social media has been used over the years. T: Very well said, thank you so much Amanda. I agree with you, I’ve heard about people breaking up with their boyfriends and girlfriends on Facebook and text messages. For me, that’s very inappropriate. If you want to tell something heartbreaking, you might as well tell them face-to-face. A: Well I think if you can connect with the other and feel some compassion and show some compassion and be supportive then you might find more in yourself than you knew you had. T: That’s right. Now Amanda, what is your main takeaway message to all of our listeners out there? A: The main takeaway from all of this is that we can thrive in the digital age. We don’t have to be fearful. We have to understand that the use of social media will continue to evolve and our communication styles have to continue to evolve to incorporate it into our lives. T: Excellent message, thank you so much. Now for those who want to contact you at Armchair Psychology, how can we get in touch with you? A: Well in Australia they can call me on 02 9362 3490 or they can look at my website armchairpsychology.com.au. If anyone actually has a question and wants to speak to me, they can go to info@armchairpsychology.com.au and I’m very happy to have a conversation with them. T: That’s wonderful. Thank you so much Amanda for coming on the show today. I really appreciate it. A: You’re welcome, thanks for having me. T: That was Amanda Gordon, Director of Armchair Psychology. We’ve just been talking about the pros and our lives in a very interesting way especially in terms of communication. We also talked about Psychology Week 2017. If you like this interview, transcripts and archives are variable at www.hpr.fm. We’re on all social media platforms so don’t forget to follow, like and subscribe. We’re also available for download on SoundCloud and iTunes. I’m Tabetha Moreto and you’re listening to Health Professional Radio.